CAUTION:-After publishing of this article we book our profit @ 6.00 and now chromatic promoters holding is reducing and many bulk deals happen so please avoid this stock for fresh buy, Regards. 1. 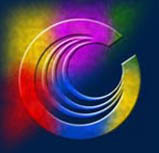 Chromatic India Ltd is a 10 rupee face value Dye and chemical company which makes dye for textile industries. 3. Promoters of Chromatic India Ltd hold 31.40 % Promoters increase his holding from 28.54% that is good ( promoters have nil pledged stocks). 4.Chromatic India Ltd pay 0.02 per share dividend in 2013. 5. Base price of Chromatic India Ltd is 5.24 So CMP is 43% below from base price as per base price we hope a good trading run in this penny script. 7. Chromatic India Ltd net sale per share of FY 14-15 is 5.80. 8. Net sale per share is 59.34% above from market price so I think this stock have potential to give good returns. 9. Book value of Chromatic India Ltd is 47.17 So in book value term this stock is traded below book value and will be a value buy. 8. Overall due to positive breakout over 200 DMA, Increasing promoter holding, sound book value and good net sale per share I include this stock in my penny share recommendation. 9. 200 DMA of Chromatic India Ltd is 3.41 So at CMP 3.64 This stock show a great technicall bereakout which hit 200 DMA, this stock also traded above 30 DMA 50 DMA and 150 DMA so technically this stock is sound for trading purpose. 10. 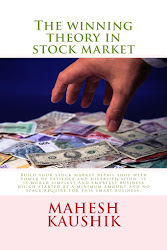 My recent updates :- Emmbi Industries Ltd .
12.Discloser:- I Mahesh Chander Kaushik author of this research report is an existing research analyst and passed NISM certification for research analysts. I am also registered under SEBI(RESEARCH ANALYSTS) REGULATIONS, 2014 ( SEBI Registration Number INH 100000908 ) hereby disclose about my financial interest in the subject company and the nature of such financial interest:- 1 Me and my associates or relatives have not hold any share of Chromatic India Ltd so my personal interest is not included in this stock. 2. Me and my associates or relatives have not any actual/beneficial ownership of one percent or more securities of the subject company ( Chromatic India Ltd). 3. Me and my associates or relatives have not any other material conflict of interest at the time of publication of the research report. 4. Me and my associates or relatives have not received any type of compensation from the subject company(Chromatic India Ltd) in the past twelve months. 5. I am not served as an officer, director or employee of the subject company ( Chromatic India Ltd). 6. I have been not engaged in market making activity for the subject company (Chromatic India Ltd). What is DMA ? I would want to learn about it. Please Make a video or Explain it. Kindly tell us What is DMA?